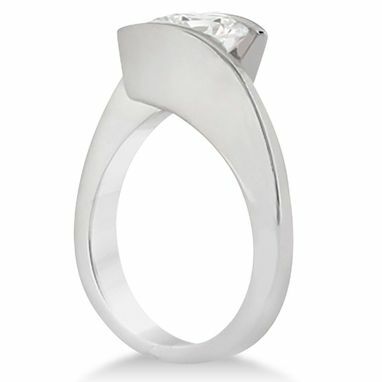 This bypass style, preset engagement ring features a solitaire diamond solitaire for your "one and only." 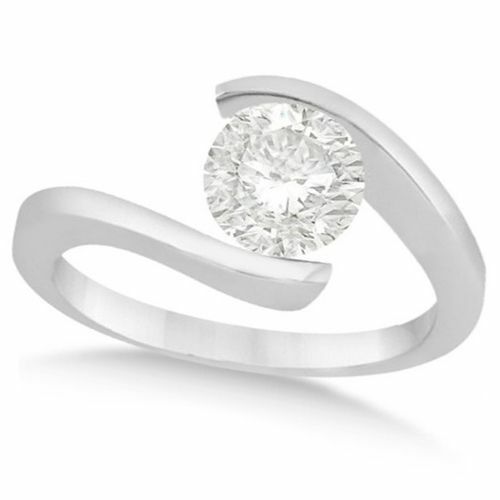 One hand chosen, round, conflict free, solitaire diamond features approximately one half carat of fire and light. 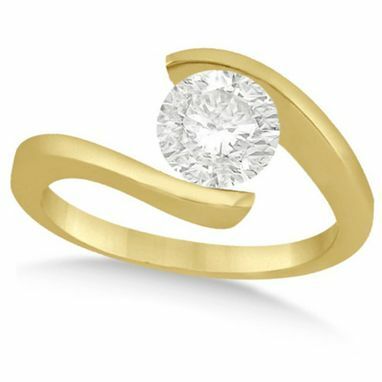 With a lovely twist, this classic 14k gold proposal ring, captures the essence of your love, the perfect choice for your perfect partner.